Introducing our newest collection of Polyethylene Forms. This male torso form is full round, unbreakable, light weight and color infused white. Measurements of chest 39”, waist 32”, hip 37”, height 40”. 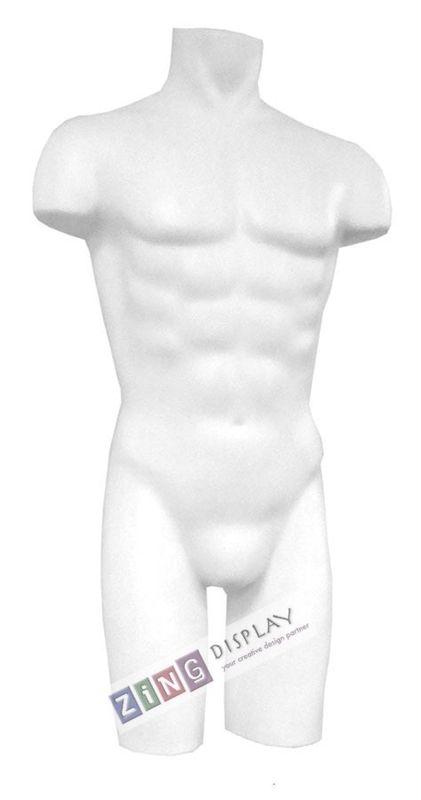 This well designed mannequin is meant to lower the retailer’s cost, it reduces damage and is easy to dress. Very low maintenance for those retailers with a limited visual merchandising budget.